At Ryder, we are proud of our long-standing legacy, which has been built on customer service, sound ethics, corporate governance and integrity. We continue to be committed to these sound principles that have served our Company and our stakeholders so well over many years. Ryder's Board of Directors is charged with overseeing the management of the Company and its business to enhance long-term value for our shareholders and ensure the continuity and vitality of the Company. The Board's fundamental governance policies and practices are set forth in our Corporate Governance Guidelines. These guidelines reflect the Board's ongoing commitment to maximizing the effectiveness of policy and decision-making at both the Board and senior management levels. Ryder employees throughout the world are expected to conduct business in accordance with the highest ethical standards. These expectations are reinforced in our Principles of Business Conduct. The principles apply in every location in which we do business around the world, as well as to every employee, officer, director and member of our Board of Directors. Our employees know that Ryder's ability to remain an ethical leader in the business community rests on the actions of every single employee in the organization. We also established a Code of Conduct for our suppliers to ensure that they too understand the importance we place on maintaining the highest ethical and legal standards. Although it is important that we continue to grow our business, we cannot do so at the expense of violations of the law or through any type of action or dealings that could undermine our hard-earned reputation. To that end, the Company maintains a Global Compliance group that advises employees on compliance and ethics issues, conducts regulatory, compliance and ethics reviews, ensures management is addressing risk areas, maintains oversight over the Company's reporting mechanisms, conducts and supervises investigations, and develops training and policies for employees worldwide. We have earned and maintained our solid reputation by consistently doing what we say we are going to do, sharing information in an accurate and complete manner and dealing honestly with our stakeholders. We are committed to providing our investors, employees, customers and the public with the information that gives a clear and transparent description of our business operations and performance. Maintaining these high standards of governance and ethical behavior is important to our long-term growth and success. We take seriously our responsibility to ensure that our Company conducts business fairly, honestly and ethically at all levels of the organization. These are the values on which Ryder's foundation was built and that continue to set us apart in the marketplace. Robert E. Sanchez is Chairman and Chief Executive Officer of Ryder System, Inc., a FORTUNE 500® commercial fleet management and supply chain solutions company. He was named Chief Executive Officer in January 2013 and Chairman of the Board in May 2013. Over the course of two decades at Ryder, Mr. Sanchez has held many senior executive leadership positions including President and Chief Operating Officer, Executive VP and Chief Financial Officer, President of Fleet Management Solutions (FMS), Senior VP and Chief Information Officer, Senior VP of Transportation Management within Supply Chain Solutions (SCS) and VP Asset Management . He has been a member of the company’s Executive Leadership Team since 2003. In his earlier roles, he played a key part in implementing the strategy to centralize Ryder’s asset management function and improve its cost management which drove an improvement in the return of capital and earnings of the company. Since 2012, he has led the development and execution of Ryder’s growth strategy focused on the large segment of businesses that do not yet outsource their fleet management and supply chain functions. Under his leadership, the company has achieved record revenue and earnings levels. Before joining Ryder, Robert held engineering positions at Pratt and Whitney Aircraft and Florida Power and Light. 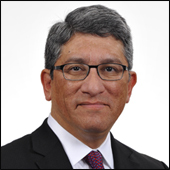 Mr. Sanchez is on the Board of Directors of Texas Instruments and a member of the board’s governance and stockholder relations committee. He also serves on the Board of Directors of Big Brothers Big Sisters of America, the Truck Renting and Leasing Association (TRALA), the United Way of Miami-Dade (2016-2018 Campaign Co-Chair), the Foundation for Human Rights in Cuba, and the Association of Cuban American Engineers (ACAE), for which he chairs the Scholarship Foundation. The ACAE has granted over $300,000 in scholarships to deserving Hispanic engineer students. Robert is also a member of the Board of Trustees of St. Thomas University and the University of Miami. 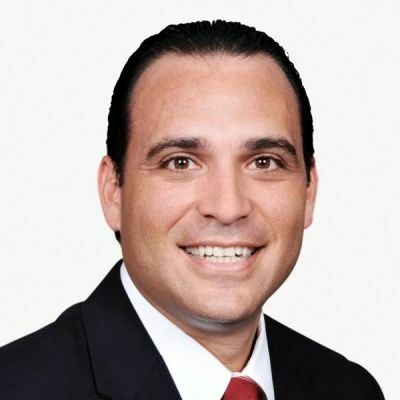 Mr. Sanchez earned his MBA from The Wharton School at the University of Pennsylvania with a concentration in Finance and Strategic Management and a Bachelor of Science degree in Electrical Engineering from the University of Miami. 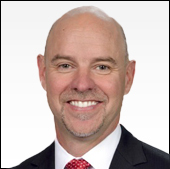 Scott Parker is Executive Vice President (EVP) and Chief Financial Officer (CFO) for Ryder System, Inc., a FORTUNE 500® commercial fleet management, dedicated transportation, and supply chain solutions company. He is responsible for Ryder’s financial management functions including finance and audit, treasury, tax, accounting, corporate strategy, and investor relations. He is member of Ryder’s Executive Leadership Team. Prior to this position, Mr. Parker was EVP and CFO for OneMain Financial (NYSE: OMF), a leading consumer finance company, responsible for overseeing all financial operations including accounting, tax, financial planning and analysis, treasury, and investor relations. Before joining OneMain Financial, he served as the CFO for commercial finance company CIT Group Inc. (NYSE: CIT). Prior to CIT, he served as CFO and then chief operating officer for Cerberus Operations & Advisory Company, an affiliate of private investment firm Cerberus Capital Management. Mr. Parker also spent more than 15 years in leadership roles within the industrial and financial services businesses at General Electric Company (NYSE: GE), including CFO of GE Capital Solutions. Mr. Parker holds a Bachelor of Science degree in Agricultural Economics from Cornell University. Dennis C. Cooke is President of Global Fleet Management Solutions for Ryder System, Inc., a FORTUNE 500® commercial fleet management, dedicated transportation, and supply chain solutions company. In this role, Mr. Cooke is responsible for leading all areas of global business operations for the company's largest business segment, Fleet Management Solutions (FMS). He is also a member of Ryder's Executive Leadership Team. Previously, Mr. Cooke served as Senior Vice President and Chief of Operations for FMS in the U.S. and Canada. He joined Ryder in 2011, following a 22-year career with GE and related companies. At GE, Mr. Cooke held positions of increasing responsibility with GE Healthcare, including serving as Vice President and General Manager of GE Healthcare's Global MRI business from 2000 to 2005. In this role, he was responsible for $1.2 billion of global revenue, including all product planning, marketing and engineering. Mr. Cooke later served as President and CEO of GE Security's Homeland Protection business, and continued serving in those roles while also being named a Board Director after the business became Morpho Detection, Inc. in 2009. Mr. Cooke is a member of the board of directors for the Truck Renting and Leasing Association (TRALA) and also serves as TRALA’s chairman. Mr. Cooke earned his MBA from the University of Chicago. He holds both a master's and a bachelor's degree in electrical engineering from Purdue University and is a Six Sigma Green Belt. 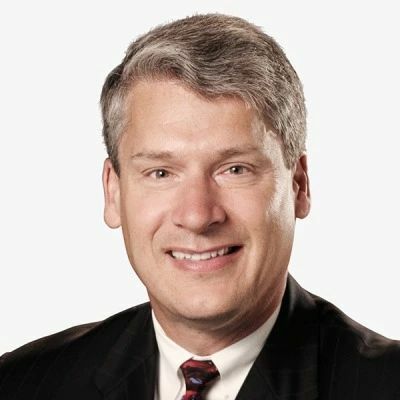 John J. Diez is President of Dedicated Transportation Solutions (DTS) for Ryder System, Inc., a Fortune 500 commercial fleet management and supply chain solutions company, and a member of Ryder’s Executive Leadership Team. He is responsible for setting the strategic direction of DTS, which combines vehicles, drivers, and administrative services with drivers and additional value-added services, all dedicated to a specific customer. 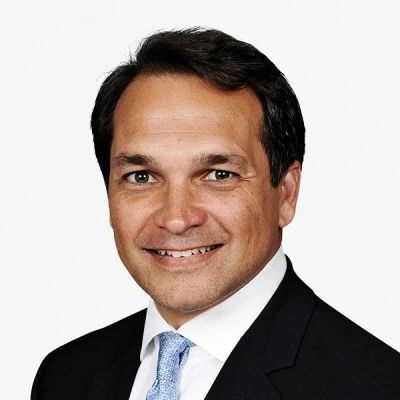 Prior to this role, Mr. Diez held the title of Senior Vice President of Ryder Dedicated, and prior to that, he served as Senior Vice President of Asset Management, in which he led all aspects of strategy, operations, capital and operating planning, and corporate compliance for the commercial rental, used vehicle sales and strategic sourcing organizations. He joined Ryder as Assistant Controller in 2002, a position he held for five years. In 2007, he was promoted to Vice President and Chief Financial Officer for the Fleet Management Solutions business segment and named an officer. A year later, he was appointed Senior Vice President of Global Field Finance, a position he held for three years. Mr. Diez spent eight years in the audit practice of KPMG LLP prior to joining Ryder. He currently serves on the board of the American Red Cross, Greater Miami & the Keys Chapter. He is a CPA in the state of Florida and a member of the American Institute of CPAs. Mr. Diez earned both his Bachelor of Science and Master of Science in Accounting from Florida International University. 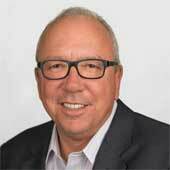 Steve Sensing is President of Global Supply Chain Solutions (SCS) at Ryder System, Inc. In this role, Steve is responsible for management, operations, sales, and the financial performance of Ryder’s SCS business segment. He is a member of Ryder’s Executive Leadership Team. Previously, Steve served as the Vice President and General Manager of the Technology and Healthcare industry groups for Ryder SCS. He served customers in the electronics, telecommunications, medical, technology, and appliance manufacturing industries, and his responsibilities included strategic planning, developing new products and services, and leading tactical execution for global operations. With a Ryder career spanning more than 25 years, Steve joined the company in 1992 as General Manager leading the operations of Dedicated Contract Carriage solutions for regional accounts. He subsequently served in a variety of positions of increasing responsibility, including Group Manager for Ryder Dedicated; Director of Customer Logistics Distribution Management; and Director of Operations for Ryder Integrated Supply Chain Solutions. His experience includes overseeing the development and operation of Ryder solutions in dedicated transportation, transportation management, network optimization, distribution management, sales, operations, engineering, LEAN, and IT. Before joining Ryder, Steve served as Transportation Manager for Trans Fleet Enterprises/ Northern Telecom, where he was responsible for managing private fleet operations in the United States. Steve earned his Bachelor of Science degree in Business Administration from the University of Tennessee in Knoxville, where he majored in Logistics and Transportation. He also completed the Executive Development Program at the University of Pennsylvania’s Wharton School in 2013, and a strategic innovation session at Vanderbilt University’s Owen Graduate School of Management. Steve is a member of the Eye for Transport’s Hi-Tech & Electronics Supply Chain Advisory Board. He also is a member of the advisory board for the Global Supply Chain Institute at the University of Tennessee’s Haslam College of Business. 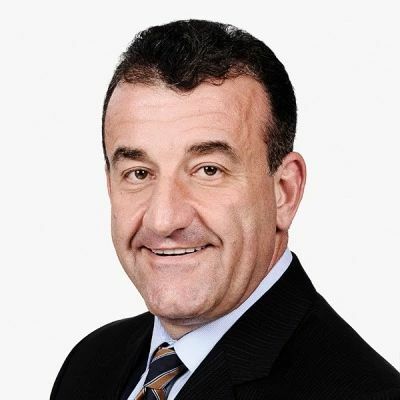 Robert D. (Bob) Fatovic is Executive Vice President, Chief Legal Officer and Corporate Secretary of Ryder System, Inc., a Fortune 500 global transportation and supply chain management solutions company. In this position, Mr. Fatovic leads the company’s legal functions and serves as Corporate Secretary for coordinating all functions relating to the company’s board of directors. He is also responsible for Ryder’s Safety, Health and Security organization, Corporate Compliance Group, Government Affairs and Environmental Department. Mr. Fatovic is a member of Ryder’s Executive Leadership Team. Mr. Fatovic joined Ryder in 1994 as Assistant Division Counsel and has held several positions of increasing responsibility in the Law department. In 1996, he became Associate Division Counsel and was promoted to Chief Counsel the same year. He later served as General Counsel of Ryder’s logistics business segment. Subsequently, he became Senior Vice President and Deputy General Counsel. In this position, he was the lead operations attorney for Ryder and was active in all aspects of domestic and international supply chain operations as well as legal support for e-commerce and other Ryder technology initiatives. In 2002, Mr. Fatovic was appointed Senior Vice President, U.S. Supply Chain Operations, High-Tech and Consumer Industries. In this position, he was responsible for the company’s U.S.-based Supply Chain operations serving these vertical industries. He has also served on Ryder’s Margin Improvement Team for Supply Chain Solutions and the Supply Chain Solutions Transformation Team. Prior to joining Ryder, Mr. Fatovic was an associate attorney at Hannoch Weisman, PC, a New Jersey-based law firm, where he specialized in litigation and environmental law. Mr. Fatovic earned a law degree at Boston College Law School and a bachelor of science degree in Finance from the Carroll School of Management at Boston College. Mr. Fatovic serves on the board of directors of the U.S.Chamber of Commerce, United Way of Miami-Dade and Easter Seals South Florida. In 2005, he led Ryder's corporate United Way fundraising campaign. 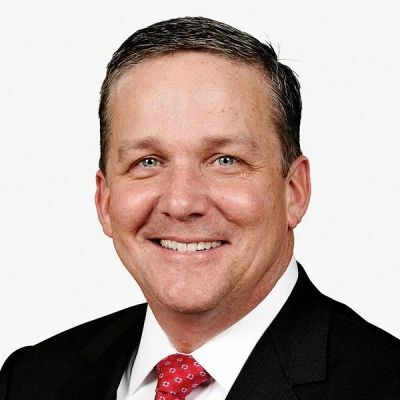 John Gleason is Executive Vice President and Chief Sales Officer at Ryder, a Fortune 500 commercial fleet management, dedicated transportation, and supply chain solutions company. Mr. Gleason reports directly to Chairman and CEO Robert Sanchez and is a member of Ryder’s Leadership Team. He is responsible for leading sales teams supporting all three Ryder business divisions: Fleet Management Solutions (FMS), Dedicated Transportation Solutions (DTS), and Supply Chain Solutions (SCS). 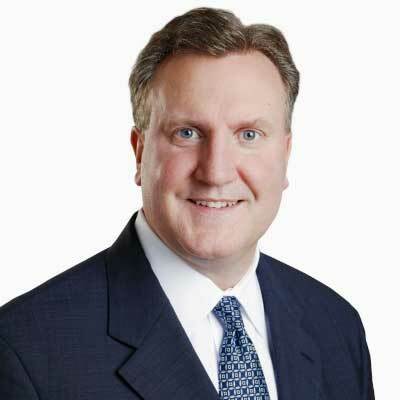 In his previous role, Mr. Gleason held the position of Senior Vice President of Sales for Ryder’s FMS business segment, in which he developed and implemented sales strategies to achieve Ryder’s business objectives, cultivated customer relationships, and drove results throughout Ryder’s national and local sales teams as well as Ryder’s marketing organization. Prior to joining Ryder, Mr. Gleason enjoyed a 25-year career with market-leader Automatic Data Processing (ADP) where he held positions of increasing responsibility including serving as the Chief Sales Officer responsible for 5,500 sales associates, worldwide. 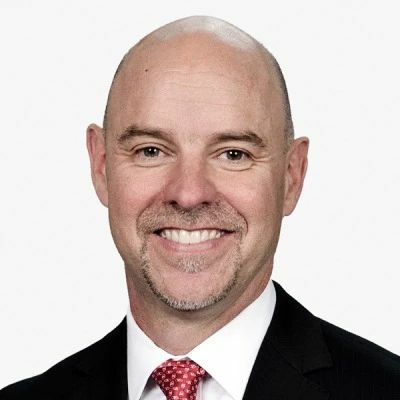 Prior to that, he was Senior Vice President of Sales for ADP Dealer Services (now CDK) which provides outsourced Dealer Management Systems to the auto and truck industry. Mr. Gleason holds a Bachelor of Science degree in Accounting from the University of Illinois and earned his CPA while working with Coopers and Lybrand following his graduation. 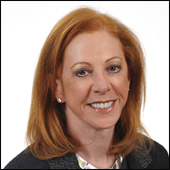 Karen M. Jones is Executive Vice President and Chief Marketing Officer (CMO) for Ryder System, Inc. and a member of Ryder’s Executive Leadership Team. She is responsible for leading the company’s Fleet Management Solutions (FMS), Dedicated Transportation Solutions (DTS), and Supply Chain Solutions (SCS) Marketing efforts, as well as integrating the management of all marketing and brand-related activities across Ryder to drive growth and enhance brand value. Prior to this position, Karen was CMO for the Fortune 300 Company NRG/Reliant Energy, Inc., where she was responsible for launching the company’s new corporate brand. Prior to that, she served as Senior Vice President of Marketing and Corporate Communications for DHL Express U.S., and was a member of its U.S. Management Board. Her marketing efforts at DHL resulted in the largest awareness increases in the company’s history and within the logistics category, which were considered a major contributor to the advancement of DHL’s recognition in the “Top 100 Most Valuable Brands” by BrandZ. 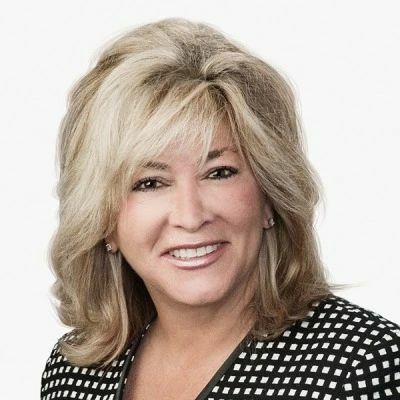 Prior to DHL, Karen served in positions responsible for worldwide brand advertising, sponsorship, strategic alliances, and marketing for Hewlett Packard and Compaq Computer Corporation. She was named “Marketer of the Year” by BtoB Magazine in 2005, and was ranked in the publication’s annual “Best Issue” from 2006-2008. In 2014 she was recognized as one of the Most Powerful and Influential Women in Business by the National Diversity Council. She has also served as a panel speaker for the Sports Business Journal’s Sports Symposium and made appearances on television, such as the NBC's "Today Show", "Good Morning America", and Fox Networks. Karen serves on the executive boards for the Broward Public Library Foundation and the Jackson Health Foundation. Karen holds a BA in Journalism from the University of Houston. Frank Lopez is Executive Vice President and Chief Human Resources Officer for Ryder System, Inc., a FORTUNE 500® commercial fleet management, dedicated transportation, and supply chain solutions company. In this position, he is responsible for leading Ryder’s Human Resources function, which includes talent management, recruiting, compensation and benefits, employee engagement, HR operations, and labor relations. Mr. Lopez is a member of Ryder’s Executive Leadership Team. Most recently, Mr. Lopez was Senior Vice President of Global Human Resources Operations, responsible for leading Ryder’s global field Human Resources for the company’s three divisions. In this role, he was also responsible for labor relations and HR operations. Mr. Lopez joined Ryder in 2002 as Senior Legal Counsel handling labor & employment law. Since then, he has held a number of positions of increasing responsibility, including Assistant General Counsel, Group Director of HR and Labor Relations and Vice President of HR. Prior to joining Ryder, he spent four years as an attorney with the national law firm of Fisher & Phillips LLP. Mr. Lopez has a strong record of building high-performing teams and partnering with business leaders to develop talent strategies that drive business success in rapidly changing environments. Mr. Lopez has a bachelor’s degree in Political Science from Florida International University and a law degree from Emory University School of Law. Timothy (Tim) R. Fiore is Chief Procurement Officer (CPO) for Ryder System, Inc., a FORTUNE 500® commercial fleet management, dedicated transportation, and supply chain solutions company. Mr. Fiore reports directly to Chairman and CEO Robert Sanchez and is a member of Ryder’s Leadership Team. He leads the global procurement organization across all three Ryder business divisions: Fleet Management Solutions (FMS), Dedicated Transportation Solutions (DTS), and Supply Chain Solutions (SCS). Over the course of his career, Mr. Fiore also served as the Chief Procurement Officer of ThyssenKrupp NA where he was responsible for developing and implementing ThyssenKrupp’s first consolidated North American supply management program. 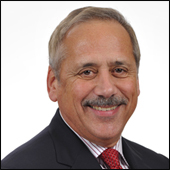 Additionally, Mr. Fiore has held senior supply management roles at Terex Corporation, Celanese Corporation, and United Technologies Corporation. 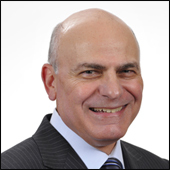 Mr. Fiore has an extensive background in procurement with over 35 years of experience leading procurement organizations at large global enterprises, including previously being Ryder’s CPO from 2002-2005. During his time at Ryder, Mr. Fiore and his team were instrumental in improving the supplier selection and management process that resulted in more cooperation with Ryder’s key suppliers for vehicle, vehicle support, and fuel activities. Additionally, the team’s activities addressed all sectors of Ryder’s supply chain by championing a fact-based, data-driven process to establish future key supplier relationships. Mr. Fiore holds a master’s degree in business administration with a technology focus and a master's in management from Rensselaer Polytechnic Institute, as well as a bachelor's degree in history from the University of Massachusetts in Amherst. 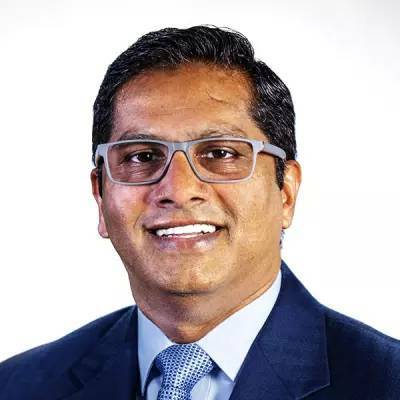 Rajeev Ravindran is Senior Vice President and Chief Information Officer for Ryder System, Inc., a FORTUNE 500® commercial fleet management, dedicated transportation, and supply chain solutions company. He is a member of Ryder’s Executive Leadership Team and is responsible for all aspects of Ryder’s IT organization, including technology vision and strategy, operations and project management, infrastructure and software development, resource optimization, and systems development lifecycle. Prior to this position with Ryder, Mr. Ravindran was the CIO and Group Vice President at JM Enterprises, where he was with the company since 2003 and held the CIO position since 2011. With over 20 years of IT leadership experience, Mr. Ravindran has worked in roles at various companies including Interactive Metronome, Asista.com, and AutoNation. Mr. Ravindran has a degree in Electrical Engineering & Computer Engineering from the University of Miami. The Board of Directors is responsible for overseeing the management of Ryder’s business. The Board’s goal is to enhance long-term value for Ryder’s shareholders and to ensure the continuity and vitality of Ryder’s businesses. To assist it in carrying out its duties, the Board has established and delegated certain authority to the following four Committees: Audit Committee, Compensation Committee, Corporate Governance and Nominating Committee and Finance Committee. In addition, the Board has adopted Corporate Governance Guidelines to further its long-standing goal of providing effective governance of Ryder’s business and corporate affairs. The Board consists of eleven members, ten of which are independent pursuant to the independence standards set forth in Ryder’s By-Laws and those required by the New York Stock Exchange. Following is background information relating to Ryder’s Board members. This information reflects information set forth in Ryder’s most recent proxy statement and any public announcements regarding any director joining or leaving the Board since the date of the proxy statement. Mr. Berra, 70, served as Chairman of Emerson Process Management, a global leader in providing solutions to customers in process control, and Executive Vice President of Emerson Electric Company, until he retired in October 2010. Prior to October 2008, Mr. Berra served as President of Emerson Process Management. 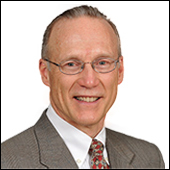 He joined Emerson's Rosemount division as a marketing manager in 1976 and continued assuming more prominent roles in the organization until 1997 when he was named President of Emerson's Fisher-Rosemount division (now Emerson Process Management). Prior to joining Emerson, Mr. Berra was an instrument and electrical engineer with Monsanto Company. 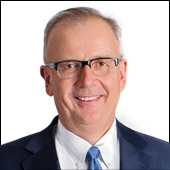 Mr. Eck, 59, serves as Chief Executive Officer of Anixter International, Inc. (Anixter), a global distributor of network and security solutions, electrical and electronic solutions, and utility power solutions with $7.5 billion in annual revenue. He also serves as President and Chief Executive Officer of Anixter Inc., a subsidiary of Anixter. Mr. Eck has held both positions since 2008. From 2007 to 2008, Mr. Eck served as Executive Vice President and Chief Operating Officer of Anixter. Prior to that position, Mr. Eck served as Executive Vice President of Enterprise Cabling and Security Solutions for Anixter from 2004 to 2007. In 2003, he served as Senior Vice President – Physical Security Products and Integrated Supply of Anixter Inc. Mr. Eck joined Anixter in 1989 and held roles of increasing responsibility in strategy, supply chain management, sales and marketing, and human resources. Mr. Hagemann, 61, served as Senior Vice President and Chief Financial Officer of Quest Diagnostics Incorporated until he retired in 2013. Mr. Hagemann joined Quest’s predecessor, Corning Life Sciences, Inc., in 1992, and held roles of increasing responsibility until he was named Chief Financial Officer of Quest in 1998. Prior to joining Corning, Mr. Hagemann held senior financial positions at Prime Hospitality, Inc. and Crompton & Knowles, Inc. He also held various positions in corporate accounting and audit at Merrill Lynch and Company and Ernst & Young. 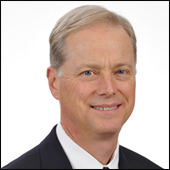 Mr. Hilton, 63, serves as President and Chief Executive Officer of Nordson Corporation, a position he has held since he joined Nordson in 2010. Nordson engineers, manufactures and markets products and systems used for dispensing adhesives, coatings, sealants, biomaterials and other materials in a wide variety of end markets. 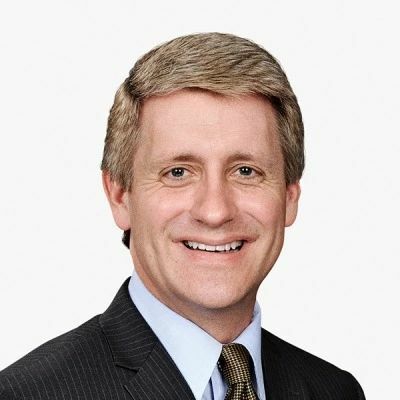 Prior to joining Nordson, Mr. Hilton served as Senior Vice President and General Manager of Air Products & Chemicals, Inc. from 2007 until 2010 with specific responsibility for leading the company's global Electronics and Performance Materials segment. Mr. Hilton joined Air Products in 1976, where he held roles of increasing responsibility in a variety of staff, management and operations positions. Air Products serves customers in industrial, energy, technology and healthcare markets worldwide with a unique portfolio of atmospheric gases, process and specialty gases, performance materials, equipment and services. Ms. Lundgren, 60, serves as President and Chief Executive Officer of Schnitzer Steel Industries, Inc., a position she has held since 2008. Schnitzer Steel is one of the largest manufacturers and exporters of recycled ferrous metal products in the United States with $1.5 billion in annual revenue and more than 100 operating facilities in the U.S., Puerto Rico and Canada. Ms. Lundgren joined Schnitzer Steel in 2005 as Chief Strategy Officer and subsequently served as Executive Vice President and Chief Operating Officer from 2006 until 2008. Prior to joining Schnitzer Steel, Ms. Lundgren was a managing director at JP Morgan Chase in London and managing director at Deutsche Bank AG in New York and London. 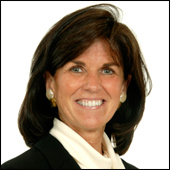 Before joining Deutsche Bank, Ms. Lundgren was a partner at the law firm of Hogan & Hartson, LLP in Washington, D.C.
Mr. Nieto, 62, served as President of the Consumer Foods Group for ConAgra Foods Inc. from 2007 until he retired in 2009. Mr. Nieto joined ConAgra in 2005 and held various leadership positions, including President of the Meats Group and Refrigerated Foods Group. ConAgra is one of the largest packaged foods companies in North America. Prior to joining ConAgra, Mr. Nieto was President and Chief Executive Officer of the Federated Group, a leading private label supplier to the retail grocery and foodservice industries, from 2002 to 2005. From 2000 to 2002, he served as President of the National Refrigerated Products Group of Dean Foods Company. Prior to joining Dean Foods, Mr. Nieto held positions in brand management and strategic planning with Mission Foods, Kraft Foods and the Quaker Oats Company. Mr. Nieto is the President of Nieto Advisory LLC, a consulting firm and is affiliated with Akoya Capital Partners. Mr. Nord, 60, serves as Chairman, President and Chief Executive Officer of Hubbell Incorporated, an international manufacturer of electrical and electronic products for a broad range of non-residential and residential construction, industrial and utility applications with $3.5 billion in annual revenue. Mr. Nord has held this position since May 2014, and prior to that served as President and Chief Executive Officer of Hubbell since January 2013. Mr. Nord joined Hubbell in 2005 as Senior Vice President and Chief Financial Officer, and subsequently served as President and Chief Operating Officer from 2012 to 2013. Prior to joining Hubbell, Mr. Nord held various senior financial positions at United Technologies Corporation, including Vice President and Controller as well as Vice President of Finance and Chief Financial Officer of Hamilton Sundstrand Corporation, one of its principal subsidiaries. Mr. Sanchez, 52, serves as Chair and Chief Executive Officer of Ryder System, Inc. Mr. Sanchez was appointed Chair of Ryder's Board in May 2013. He was appointed President and Chief Executive Officer in January 2013, at which time he was also elected to Ryder's Board. Mr. Sanchez joined Ryder in 1993 and has served in positions in increasing responsibility, including a broad range of leadership positions in several of Ryder's business segments. Mr. Sanchez served as President and Chief Operating Officer from February 2012 to December 2012. Prior to that position, he served as President of Global Fleet Management Solutions, Ryder's largest business segment, from September 2010 to February 2012. Mr. Sanchez also served as Executive Vice President and Chief Financial Officer from October 2007 to September 2010; as Executive Vice President of Operations, U.S. Fleet Management Solutions from October 2005 to October 2007; and as Senior Vice President and Chief Information Officer from January 2003 to October 2005. Mr. Sanchez has been a member of Ryder's Executive Leadership team since 2003. Ms. Smith, 64, serves as the Boris and Irene Stern Distinguished Service Professor of Accounting at the University of Chicago Booth School of Business. Ms. Smith joined their faculty in 1980 upon completion of her Ph.D. in Accounting at Cornell University. The primary focus of her research is corporate restructuring, transparency and corporate governance. She was nominated for a 2005 Smith Breeden Prize for her publication in The Journal of Finance and has received a Marvin Bower Fellowship from the Harvard Business School, a McKinsey Award for Excellence in Teaching and a GE Foundation Research Grant. DFA Investment Dimensions Group Inc.
Ms. Smith, 58, served as the Executive Vice President, Chief Financial Officer and Chief Administrative Officer of Constellation Energy Group, Inc., then the nation's largest competitive supplier of electricity to large commercial and industrial customers and the nation's largest wholesale power seller, until May 2007. Ms. Smith joined Constellation Energy Group as Senior Vice President, Chief Financial Officer in June 2001 and was appointed Chief Administrative Officer in December 2003. 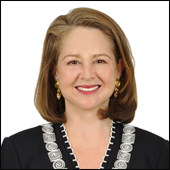 Before joining Constellation Energy Group, Ms. Smith was Senior Vice President and Chief Financial Officer of Armstrong Holdings, Inc., the global leader in hard-surface flooring and ceilings. Prior to joining Armstrong, Ms. Smith held various senior financial positions with General Motors, including Chief Financial Officer for General Motors’ Delphi Chassis Systems division. Mr. Stockton, 53, most recently served as Senior Vice President and Special Advisor to the Chairman of General Electric Company (GE) from 2016 until his retirement in 2017. GE is a multinational industrial company that provides power and water, aviation, oil and gas, healthcare, appliances and lighting, energy management, transportation and financial services. Mr. Stockton joined GE in 1987 and held various positions of increasing responsibility during his 30 year tenure. 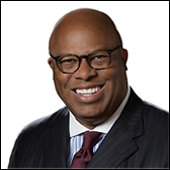 From 2011 to 2016, Mr. Stockton served as Chairman, President and Chief Executive Officer of GE Asset Management, a global asset management company affiliated with GE, and as Senior Vice President of GE. From 2008 to 2011, he served as President and Chief Executive Officer for GE Capital Global Banking and Senior Vice President of GE in London, UK. He previously also served as President and Chief Executive Officer for GE Consumer Finance for Central and Eastern Europe. Mr. Tookes, 70, served as President of Raytheon International until he retired from Raytheon Company in December 2002. 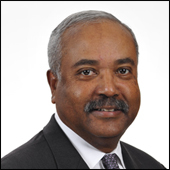 Mr. Tookes joined Raytheon in September 1999 as President and Chief Operating Officer of Raytheon Aircraft Company. He was appointed Chief Executive Officer in January 2000, Chairman in August 2000 and became President of Raytheon International in May 2001. Prior to joining Raytheon in 1999, Mr. Tookes served as President of Pratt & Whitney's Large Military Engines Group since 1996. He joined Pratt & Whitney's parent company, United Technologies Corporation, in 1980. Mr. Tookes was a Lieutenant Commander and military pilot in the U.S. Navy and later served as a commercial pilot with United Airlines. Interested parties are invited to communicate any questions or concerns they may have to the independent members of Ryder's Board of Directors through the Ryder Hotline at 1-800-815-2830 (7 days a week/24 hours a day). Alternatively, the Board can be contacted online or by mail to Ryder System, Inc., Independent Directors, c/o Corporate Secretary, 11690 NW 105 Street, Miami, FL 33178. All communications will be treated confidentially and anonymously upon the request of the interested party. Any concerns relating to accounting, internal accounting controls or auditing matters will be directed to the Audit Committee of Ryder's Board of Directors. To receive notifications via email, enter your email address and select at least one subscription below. After submitting your information, you will receive an email. You must click the link in the email to activate your subscription. You can sign up for additional subscriptions at any time. Copyright (c) 1996 - Ryder System, Inc.